New Product Alert: Cows, Kitties, Schnauzers, and Bunnies! This winter, we’re excited to introduce a bunch of new slipper styles. Come one, come all, and check out the brand-spankin’-new slipper goodness! Happy Holsteins, Beloved Bovines, Cute Cute Cattle–whatever you call them, they sure are adorable! 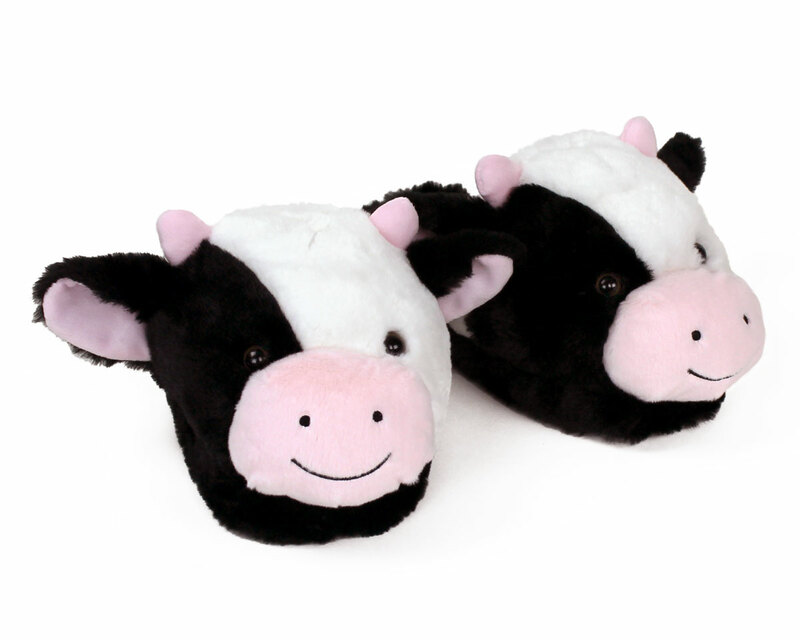 We’re excited to bring you these new Fuzzy Cow Slippers. They’re also a perfect holiday gift for the Cowgirl or Cowboy in your life. Adding to our growing collection of dog breeds, we couldn’t wait to get these Schnauzers to all the terrier fans out there! 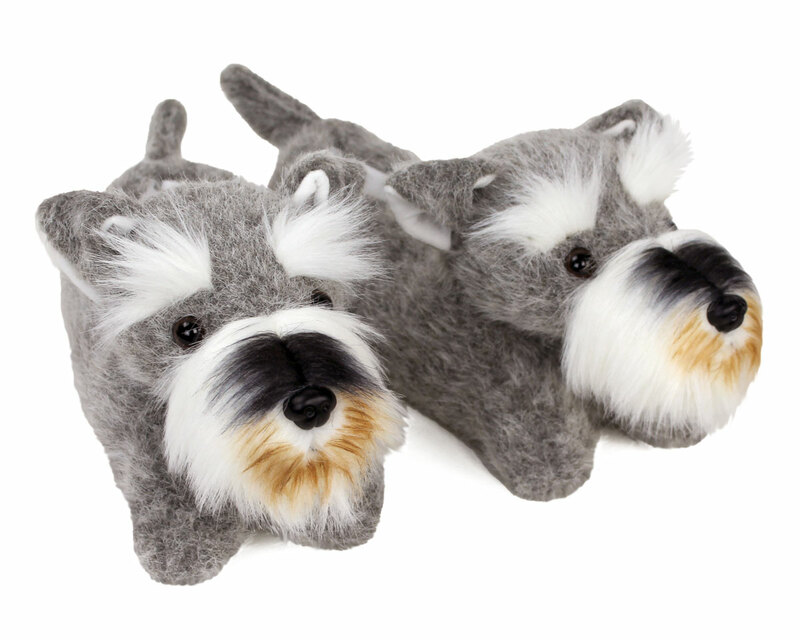 With long whiskers and bushy eyebrows, these slippers capture the distinctive profile of the Schnauzer. Woof! In addition to all our dogs…we want to make sure we’re representing all the Cat Lovers out there! 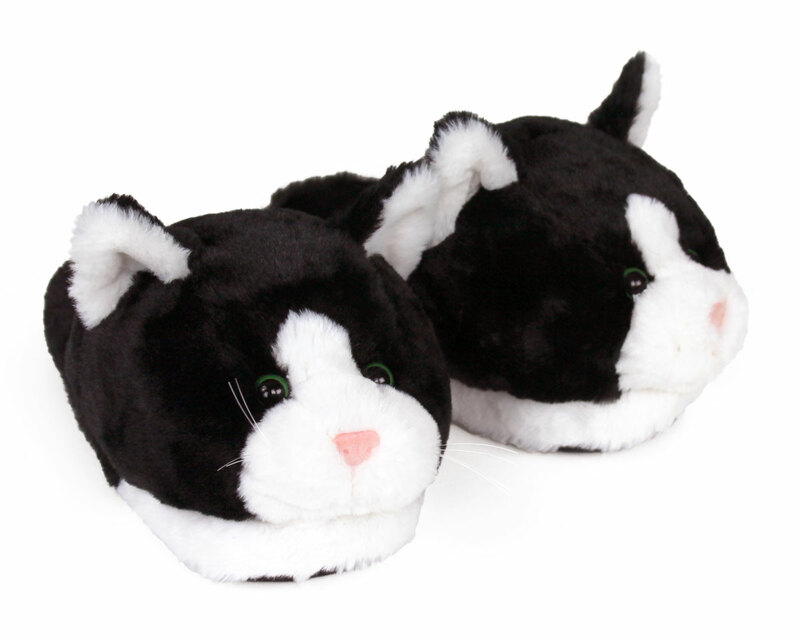 These cute Black and White Kitties look just like your favorite Tuxedo Cat…and are as cozy as two kitties curled up by your feet. These babies aren’t exactly new, but after a long absence, they’ve been re-designed with a fresh new look. We’re excited to have this customer favorite back up in the shop again! 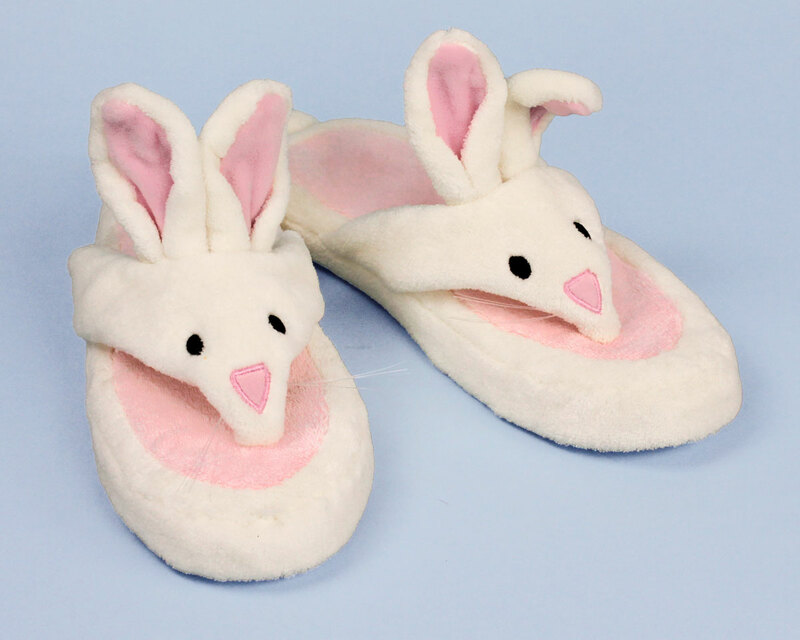 This entry was posted in Slippers and tagged bunny, cat, cow, new slippers, schnauzer, slippers on November 28, 2018 by BunnySlippers.